The NSF100 is a small-displacement, fully-cowled racing bike powered by a 100cc 4-stroke engine. Sold by HRC, this bike is packed with the company’s experience and technologies gained through years of racing in the world’s premier championship, MotoGP. 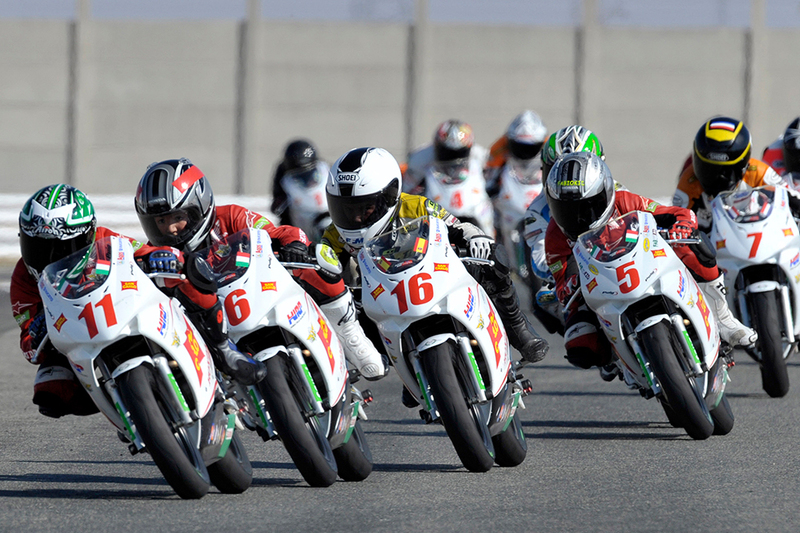 The NSF100 is currently sold throughout the world for aspiring riders, dreaming of competing on the world stage as MotoGP riders. 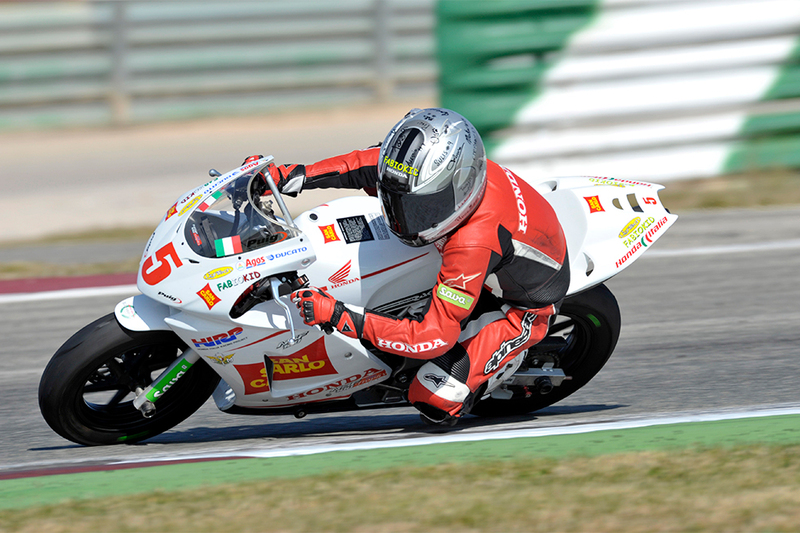 Meet the riders who have done just that: former NSF100 riders now competing on the world stage. 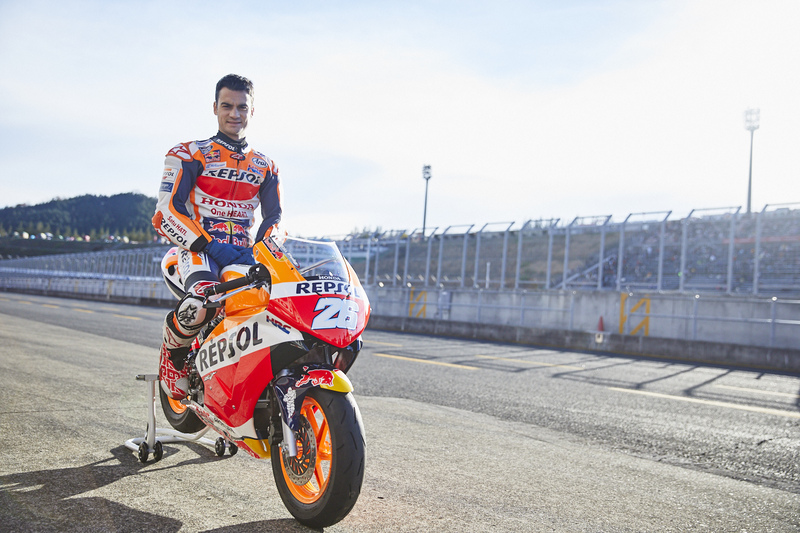 Marc Marquez, winner of his fifth MotoGP class title in 2018, and Dani Pedrosa, loved all over the world for his 18 years of world championship racing, share their passion for the NSF100. * Rider age and achievements current as of October 17th, 2018. * Dani Pedrosa’s achievements current as of December 9th, 2018. * Marc Marquez’s achievements current as of February 1st, 2019. 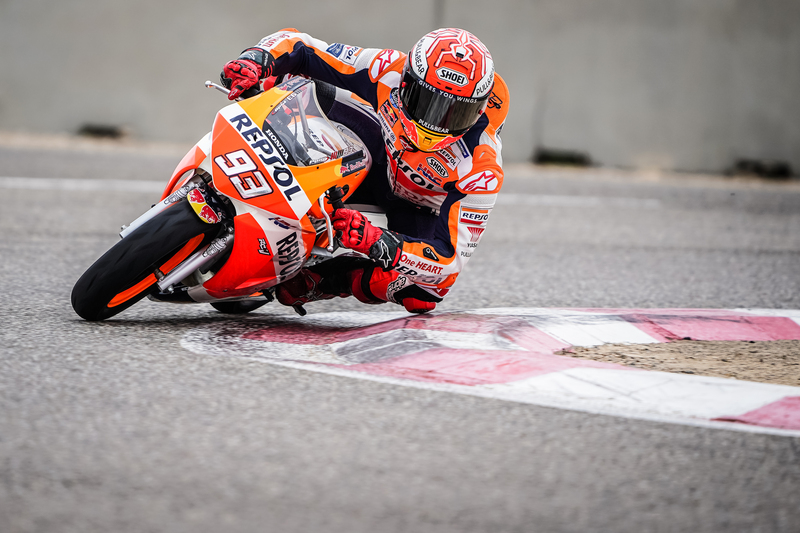 The youngest grand prix winner in the intermediate and premier MotoGP classes, the youngest world champion, and five-time winner (of which three are consecutive) of the MotoGP championship, Marc Marquez has had an outstanding career so far. 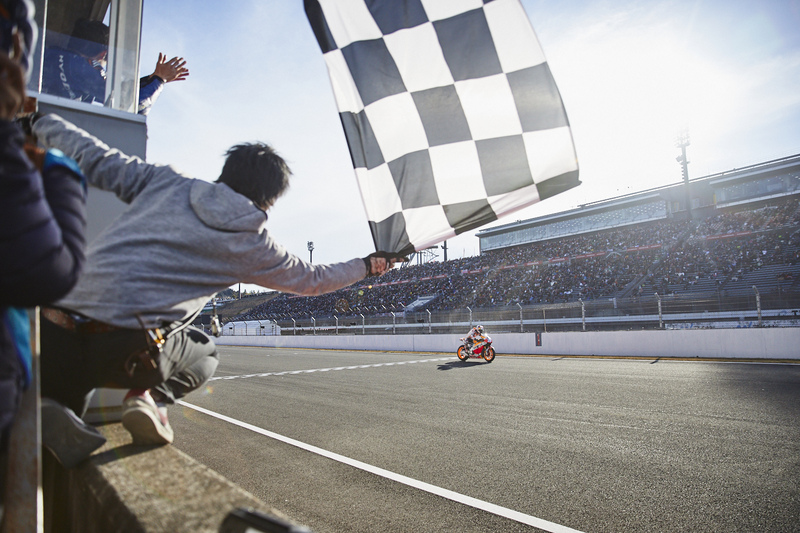 In the 2019 season, Repsol and Honda celebrate their 25th year of a successful partnership, while Marc aims for even more wins and the championship title. The undisputed champion in modern times is also another rider in love with the NSF100. Marc’s riding style takes him so low into the turns that not only does his knee scrape the asphalt, but sometimes, so does his elbow. 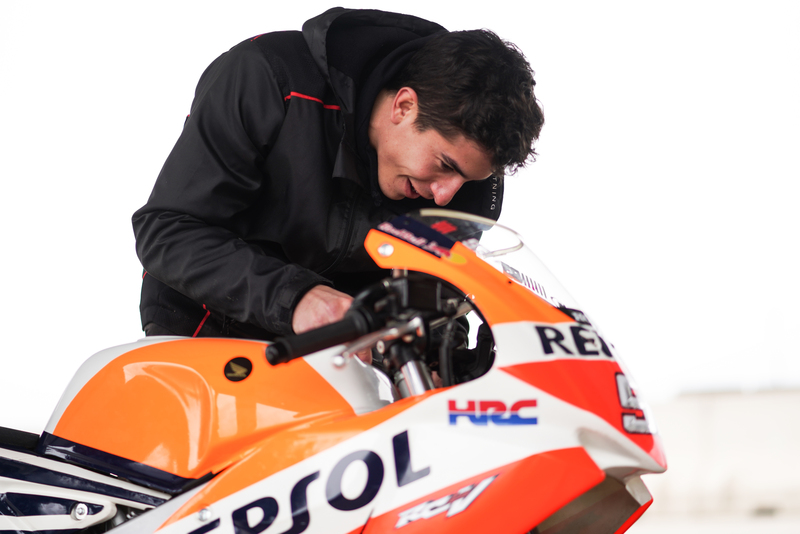 For his riding style, Marc recommends the NSF100 to young riders. 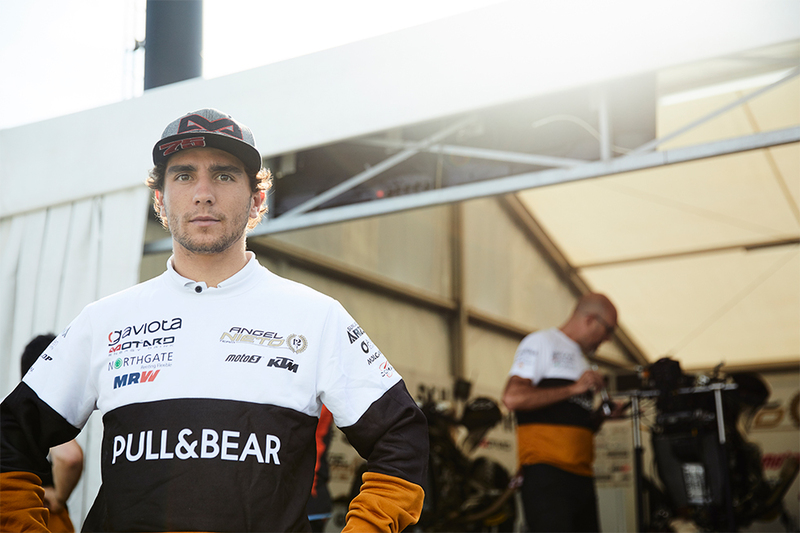 Marc spent off-season in an unusual manner: in December 2018, he underwent surgery for his left shoulder, which had a habit of dislocation. Although the surgery was successful, he would have to spend six weeks resting. He had a unique way of training, given the circumstances. 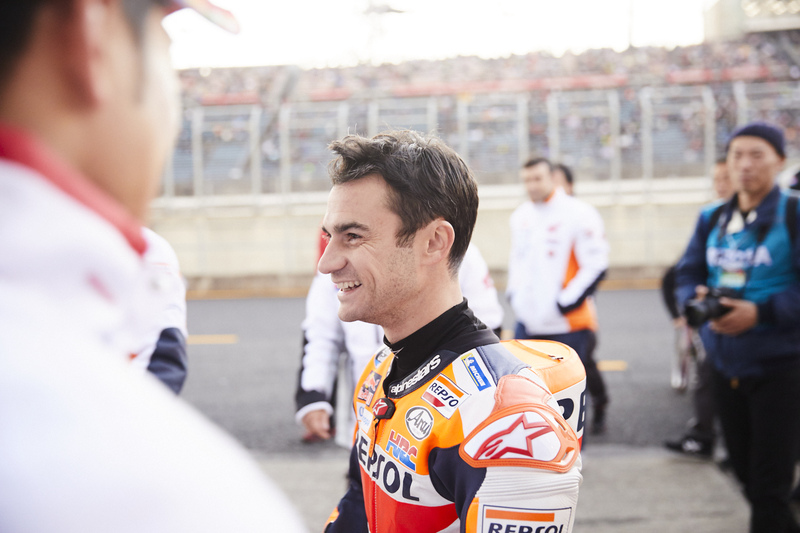 Dani Pedrosa, with 112 MotoGP podiums including 31 wins, became the 29th rider in history to be inducted into the MotoGP Legends Hall of Fame. In spite of his small frame, Dani’s riding style on MotoGP monster bikes mesmerised spectators, and earned the love of motorsports fans worldwide. He was often injured, but nonetheless managed to overcome difficulties to fight hard in every race. 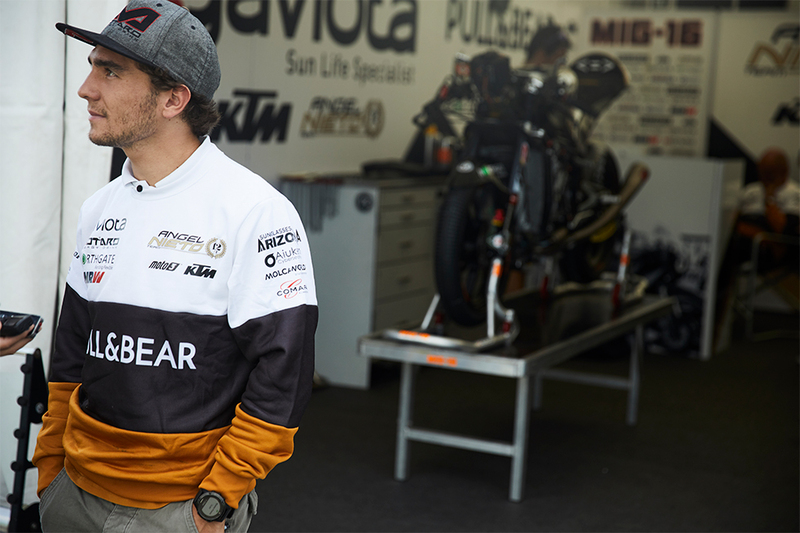 Dani, MotoGP legend, is another rider in love with the NSF100. It’s the ideal bike for training. Each time I wanted to try out a different riding style, I would first ride the NSF100. It’s easy to set up, so I don’t need a mechanic to adjust my bike. I rely on it a lot, because I can use it for testing all season. Although this bike is small, it has the same gear shift pattern as a MotoGP machine. That’s why it’s perfect for young riders to learn on. It has a small engine and a low speed range, so you don’t have to go to a race track, but can practice at a kart track instead. 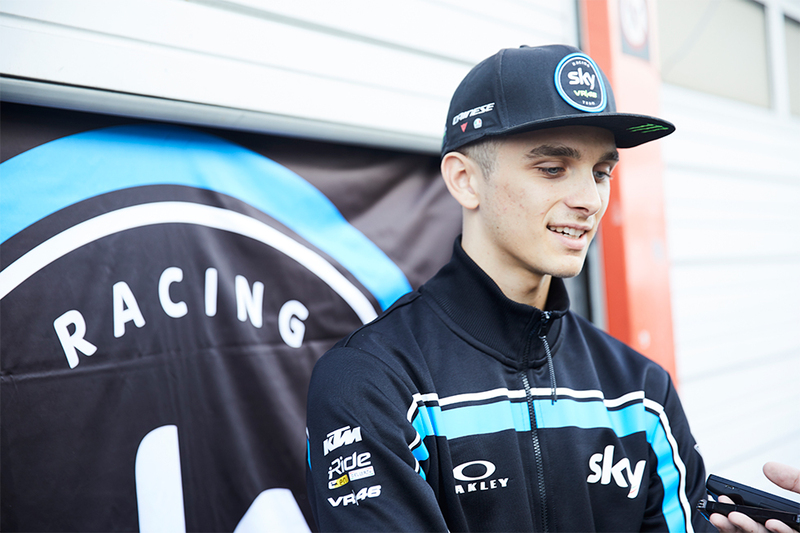 Known as “Diggia” to his friends, Fabio Di Giannantonio is a 21-year-old Italian rider born in Rome. 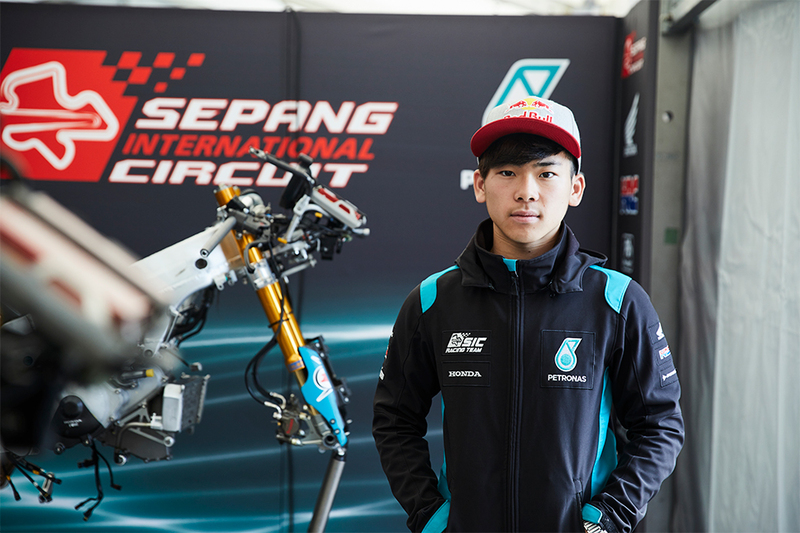 In his third Moto3 World Championship season in 2018, he is currently ranked third with six podiums (including two wins) as of the end of the Malaysian Grand Prix, and is considered a prodigy with a very bright future. When did he start riding? 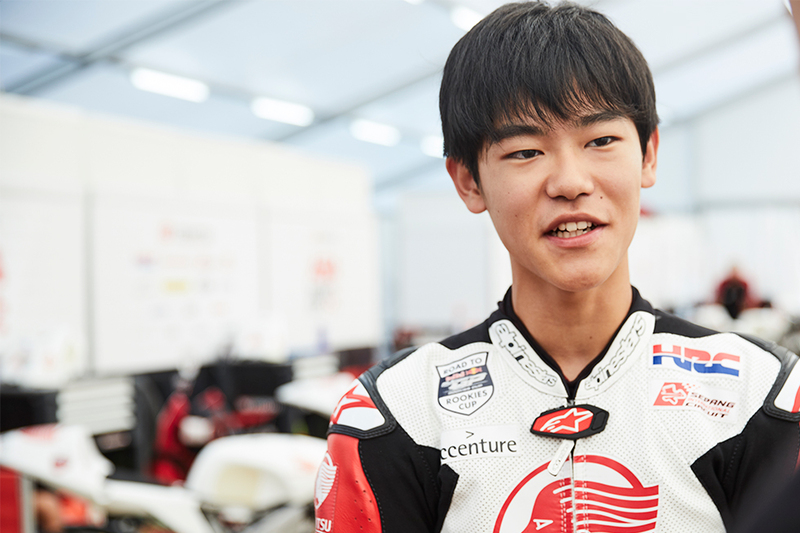 Kazuki Masaki is an 18-year-old rider from Fukuoka, Japan. On his father’s advice, he started riding at a young age. 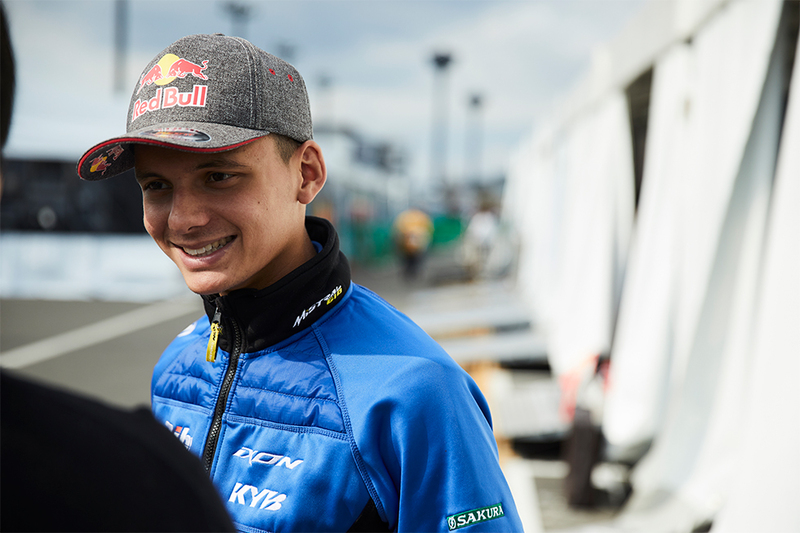 Before he knew it, he had won the MotoGP Rookies Cup in 2017, and had secured a seat for the Moto3 World Championship the next season. 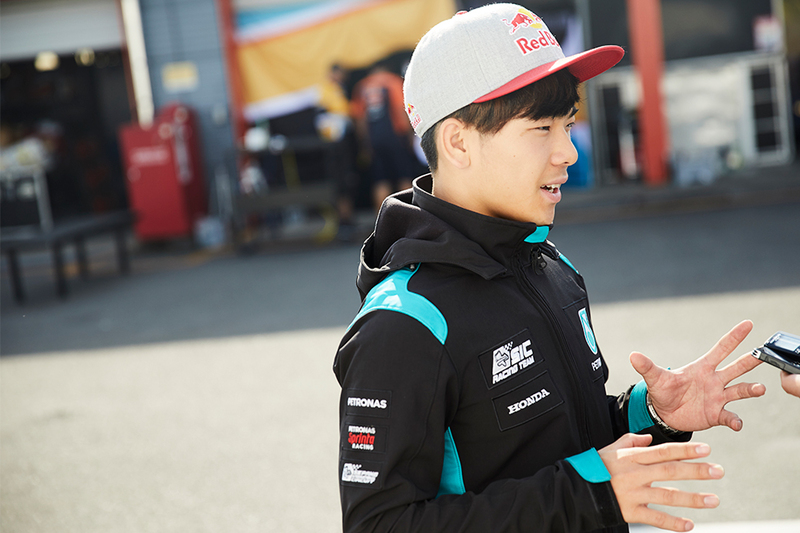 Now, he stages fierce battles with riders of similar age in the Moto3 class. “The NSF100 handles fast and has good grip, so it was great for me to practice my skills such as braking at the limit and sliding in the turns. I still practice some of my skills on an NSF100. Riding on a big bike on a big track, weaving through the bends I get slower and slower, so I practice my cornering skills on a lightweight bike like the NSF100. 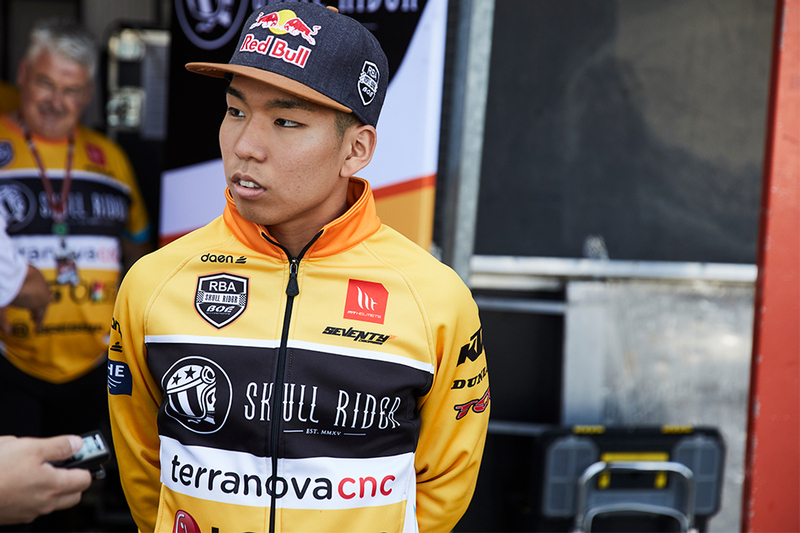 Toba says the desire to become a rider dawned on him at a very young age. 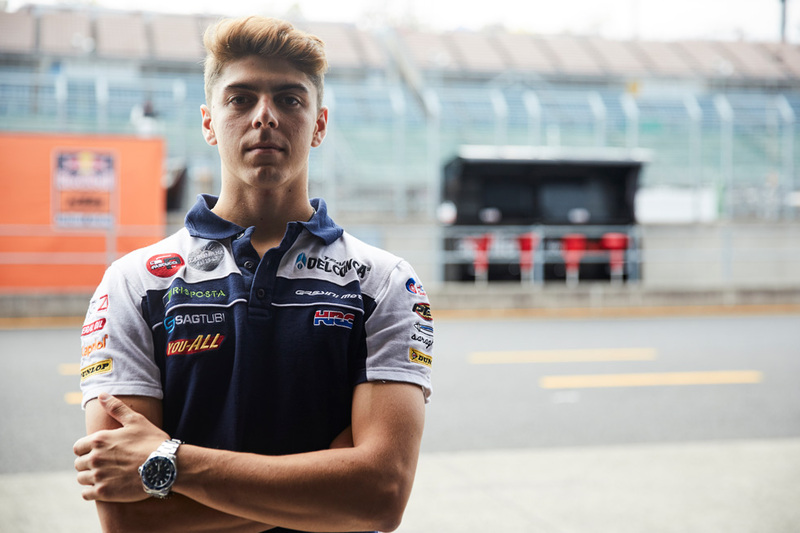 He was then on the path to becoming a racer, and in 2017, began his career in the Moto3 World Championship. 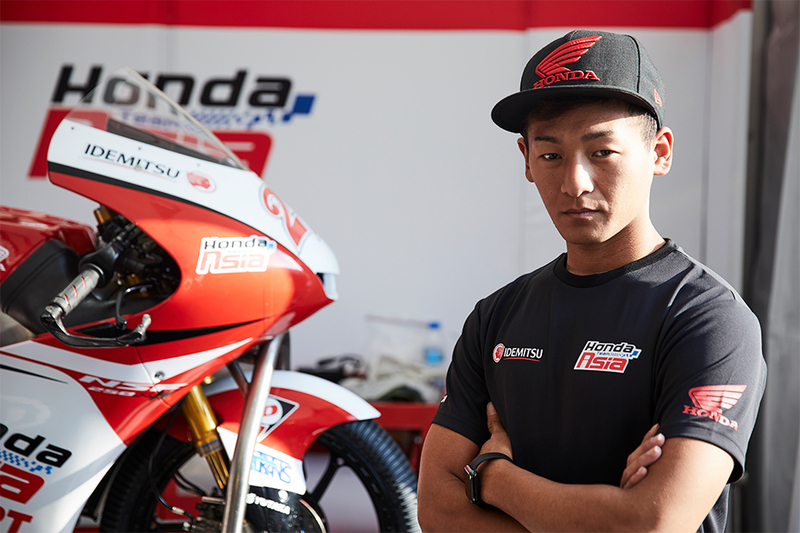 Under the supervision of HRC team manager Hiroshi Aoyama, a former MotoGP rider and current HRC test rider, he now competes with riders from all over the world. 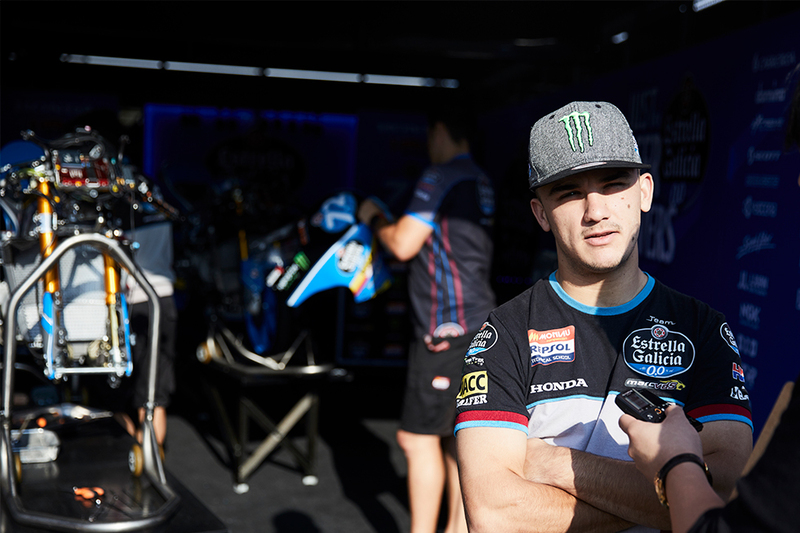 Aròn Canet started racing in the Moto3 World Championship at the age of 16. In 2017 he won three races, and was ranked third. 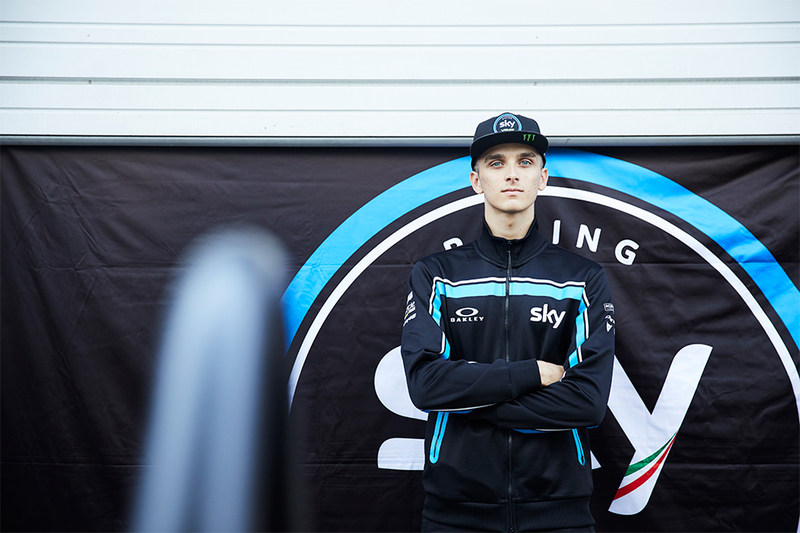 In 2018, he has been on the podium four times, proving himself to be an outstanding young rider. 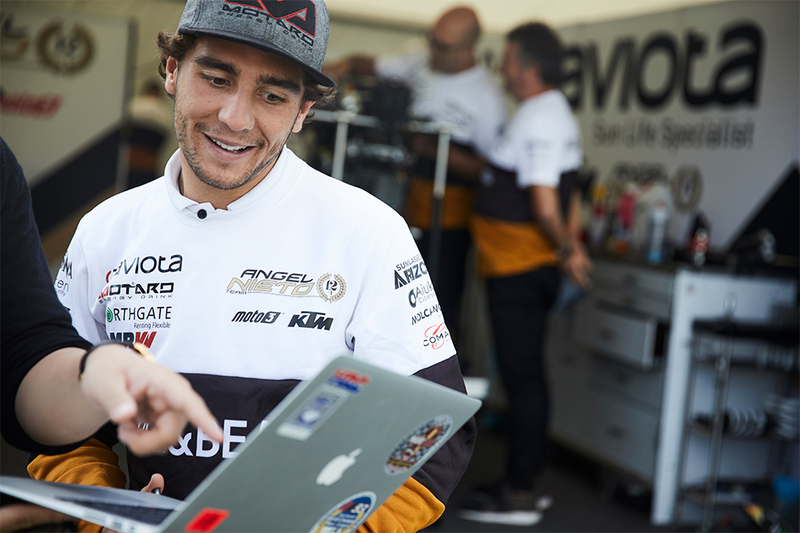 The Spaniard, still only 19, says he chose to start riding at a very young age. 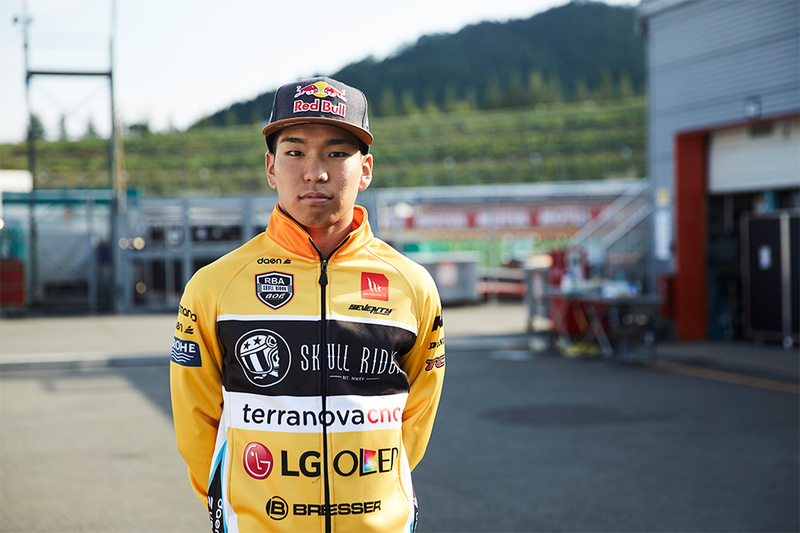 The 17-year-old from Kanagawa, Japan, is one of the Japanese riders challenging the world stage. 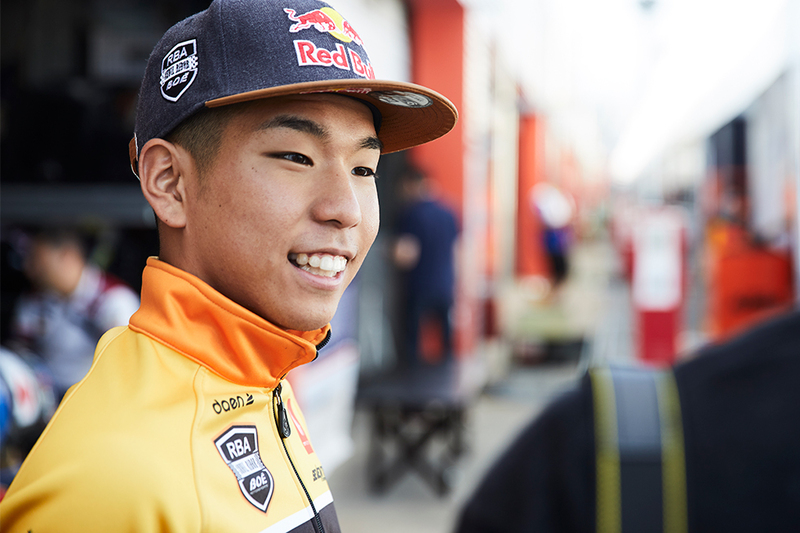 In 2016 Sasaki became the first Japanese rider to become the Red Bull MotoGP Rookies Cup champion, and began racing in the Moto3 World Championship since 2017. 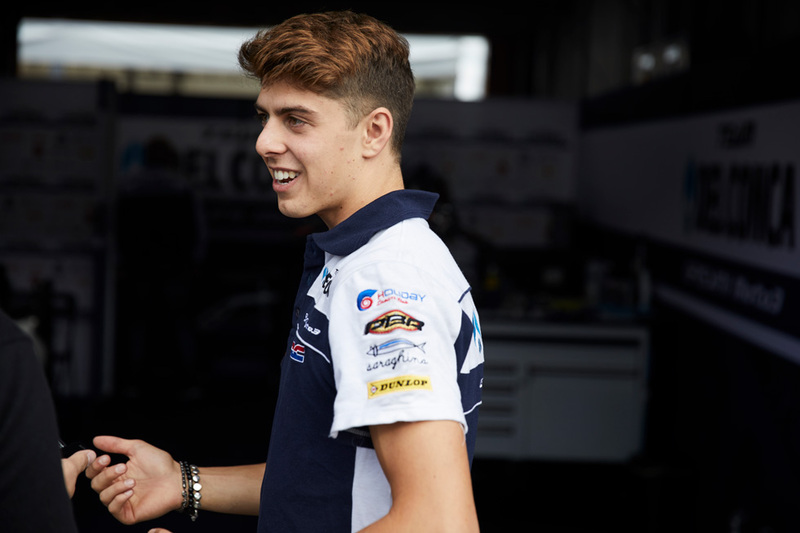 In 2018, he has secured two front row starts to date, displaying fierce speed when it counts, despite being in only his second year in the championship. Sasaki’s first bike was a pocket bike from his grandfather. Albert Arenas is a 21-year-old rider from Girona, Spain. 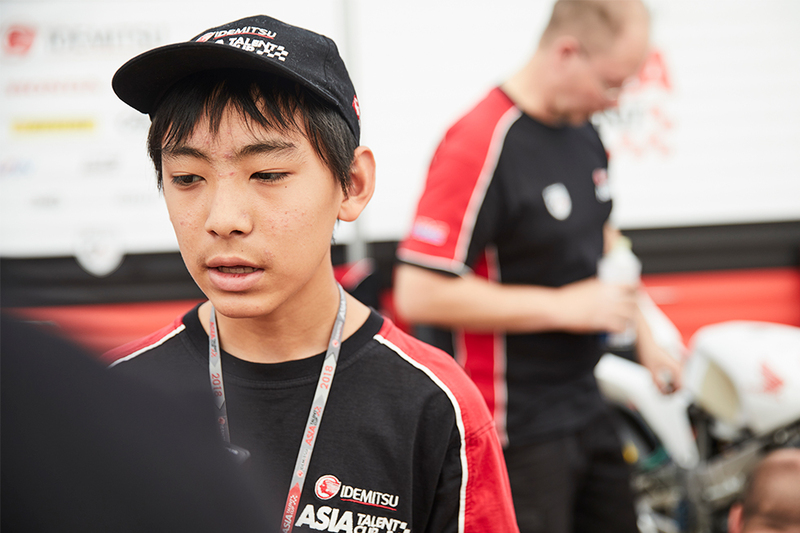 Through his father’s love of motorsports, he had become a spectator of MotoGP racing from a very young age. 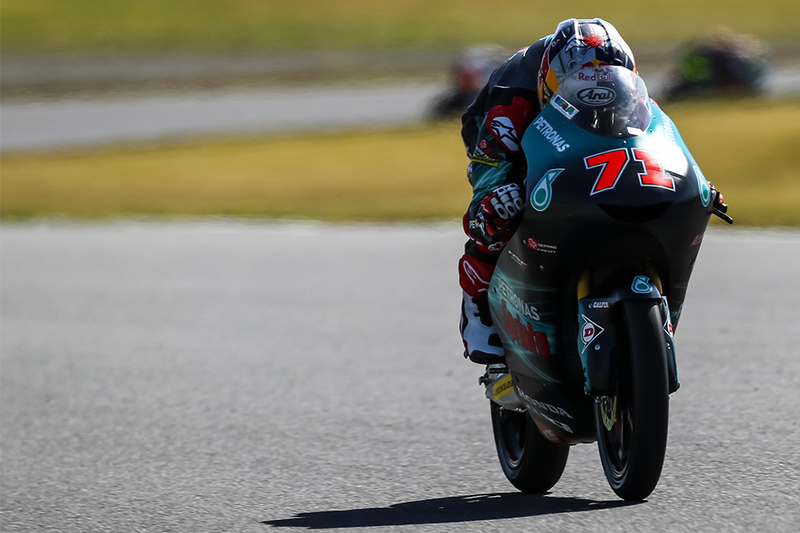 In his fourth season in the Moto3 World Championship, Arenas has won two races so far this year, and is ranked 9th (as of the end of the Australian Grand Prix), and is a rider who shows promise for a successful career. 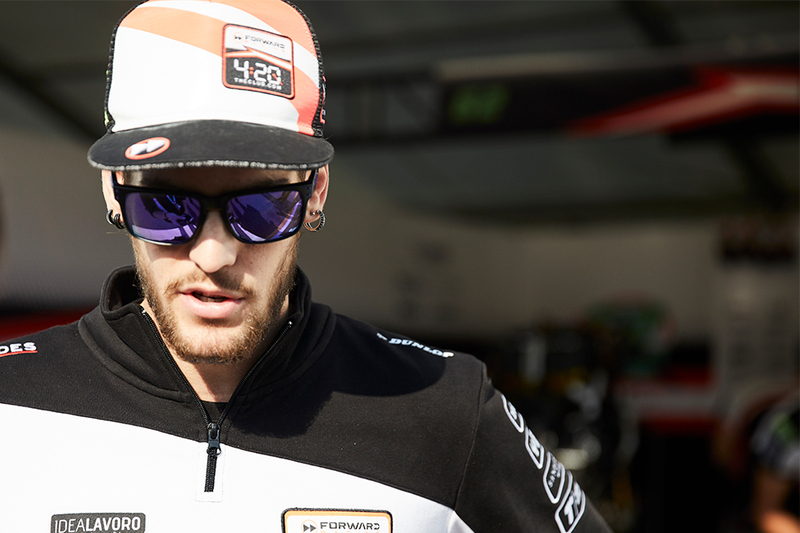 Luca Marini, a 21-year-old Italian rider from Urbino, became mesmerized as a small child when he saw other children riding pocket bikes. 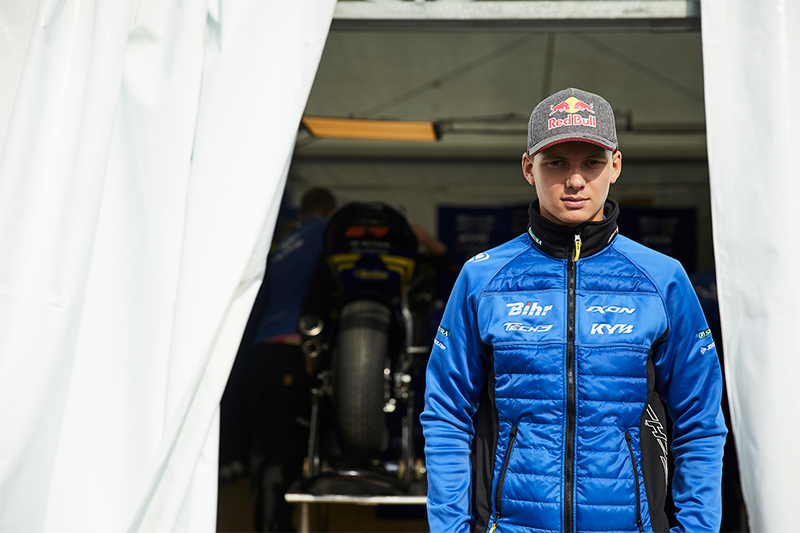 He is now in his third year of Moto2 World Championship racing. Every day, he gets closer to realizing his dream of racing in the premier class. 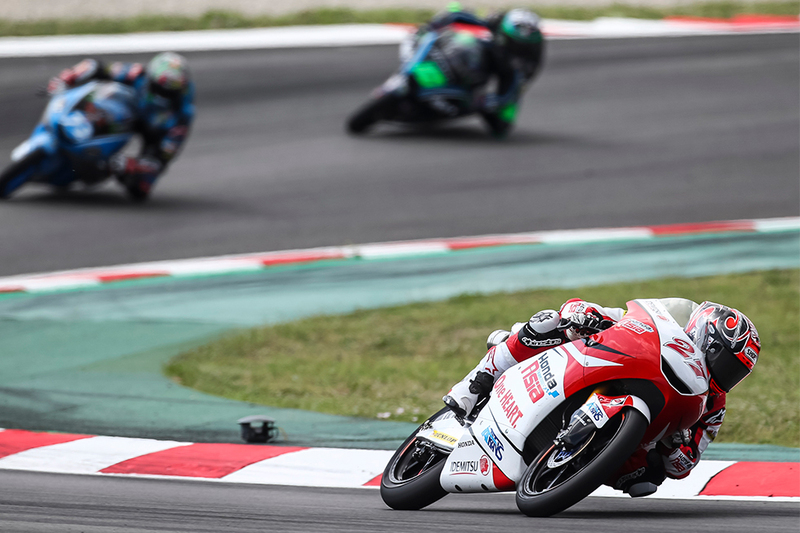 For Stefano Manzi, born into a family with a father and brother well-versed in motorsports, it was perhaps inevitable that he chose the path of becoming a rider. 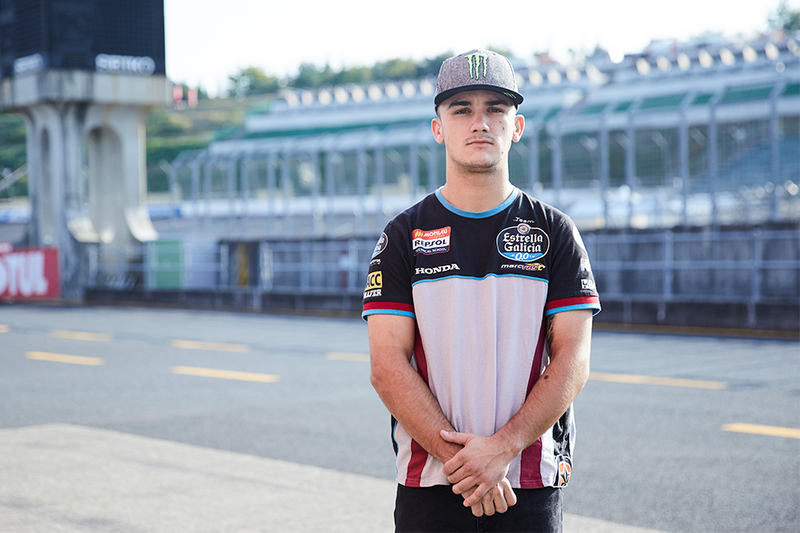 He began his Moto3 career in 2015, and moved up to Moto2 in 2017, where he races now. He has an unwavering, unchanged passion for competition. 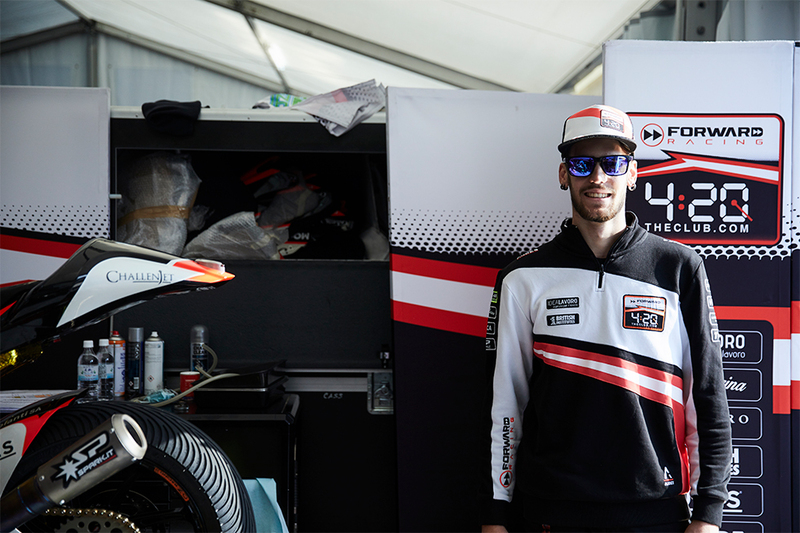 Once Bo Bendsneyder, born in Rotterdam in South Holland, started riding due to his bike-loving father’s influence, he went from strength to strength, joining the Moto3 World Championship in 2016, and moving onto the Moto2 class in 2018. Through riding the NSF100, Bo had made his dreams come true. 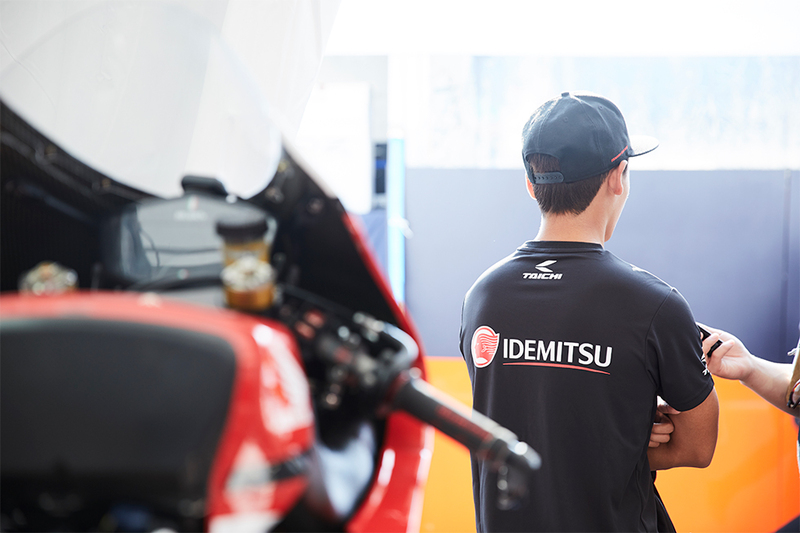 The IDEMITSU Asia Talent Cup (IATC) is a championship series operated by Dorna Sports SL, organizers of MotoGP racing, that begun in 2014 to nurture young riders in the Asia region, including Japan, Indonesia, Malaysia, Thailand, Australia and Turkey, where the popularity of motorcycle motorsports is booming. 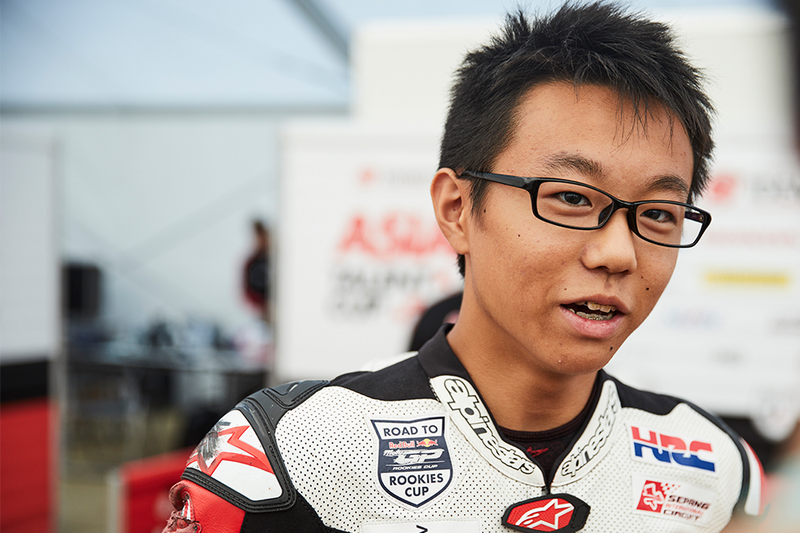 Meet three young Japanese former-NSF100 riders, who compete in the series now. All three riders dream of becoming MotoGP riders. From the NSF100 to Asia, from Asia to the world. It may take a while for them to reach the pinnacle of motorcycle motorsports and race in the MotoGP class, but the passion in their eyes spoke volumes: they would become MotoGP riders. After the interview, Matsuyama achieved a double-win at the IATC Japan round.